If cabin fever is setting in at your house, get out and enjoy the Cleveland winter and fresh ice at The Rink at Wade Oval, open now through February 18. 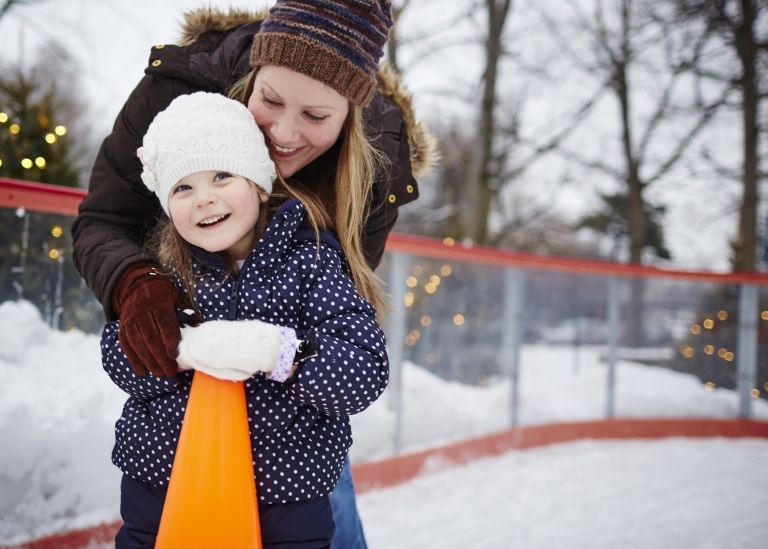 This picturesque outdoor rink, set among twinkling snowflake lights and festive greenery, is a fun, affordable way to entertain everyone in your family. Admission to The Rink is only $2 for adults and $1 for students, and skate rentals are $3 for adults and $2 for students. After you’re finished skating, warm up with a cup of hot cocoa or a snack from the concession stand. There are so many reasons to visit The Rink this December. The Rink is open daily through January 6 (hours vary), and don’t miss special open skate hours on Christmas Eve and New Year’s Eve from noon-7 p.m. Are you a little unsteady on skates? Not to worry, The Rink hosts free ice skating lessons each Saturday from noon-1 p.m. No registration is necessary, and all ages are welcome. The Rink is only a small (but exciting!) part of what University Circle has to offer you and your family. After skating, show your Rink wristband at Cleveland Botanical Garden, Cleveland History Center, Cleveland Museum of Natural History, and moCa Cleveland to receive $2 off general admission. That’s right, you can see the latest shows and exhibits such as Glow, Cleveland Starts Here, Andy Warhol’s Endangered Species, and Alexis Rockman: The Great Lakes Cycle at a discount! Additionally, your Rink wristband will get you 10% off your purchase from The Cleveland Museum of Art’s Provenance Café. While we do our very best to keep The Rink open during regularly scheduled hours, sometimes Mother Nature has other plans. We recommend calling The Rink’s event hotline at 216-707-5033 before heading out, or following @inthecircle on Twitter for the latest information. We can’t wait to see you in the Circle this December! For more information on The Rink and other fun things to do in University Circle, visit www.universitycircle.org.